Have You Heard Of Portwest Prime Mover Workwear? Prime Mover Workwear (recently purchased by Portwest) is a provider of top quality workwear and high visibility clothing that complies with Australian Safety Standards. At Safety Gear Express, we were so happy to find this company who is as dedicated to top quality workwear, safety certification and customer service as we are. We searched far and wide looking for a provider of safety clothing that we could be confident in and depend on. We found exactly what we were looking for in the company and brand of Portwest Prime Mover. We believe that quality of their workwear clothing is equitable if not exceeding that of other well known workwear brands on the Australian market. The quality of merchandise combined with reasonable pricing and superb service put Portwest Prime Mover on the top of our list of providers of workwear clothing and safety products. We are certain that the customers of Safety Gear Express will find value in this brand of workwear apparel and high visibility clothing. Portwest Prime Mover work wear apparel is tested and approved to meet the Australian safety standards. They have the certificates to prove it. 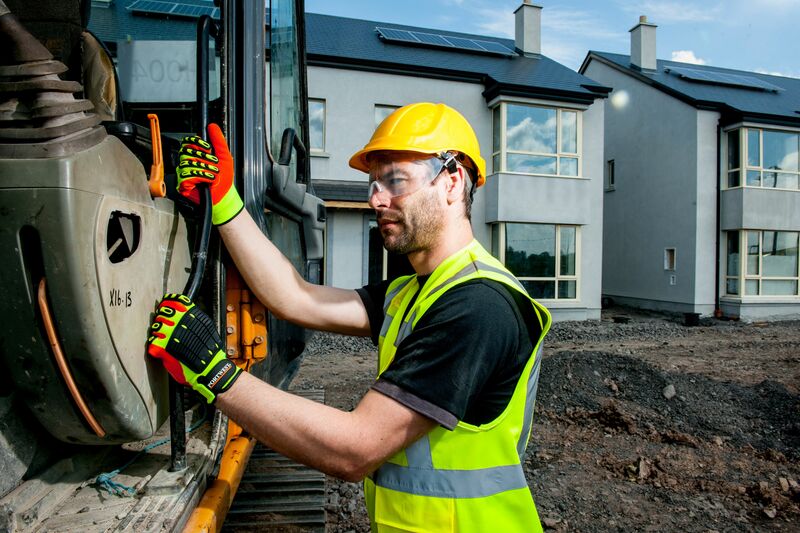 It is very important that work wear clothing meets safety standards and there are a lot of work wear distributors that claim to be distributing safety work wear that is not safety tested and approved, much less certified, so that is something to be aware of when buying work wear clothing. Portwest Prime Mover's willingness to make sewing adjustments and alterations in their Melbourne factory really sets them apart from other suppliers of top quality work wear and high visibility clothing. They even provide embroidery or printing of company logos if you prefer personalised work wear for your employees. We are particularity impressed by the high quality material used by Portwest Prime Mover in their workwear clothing. They use approved cloth from specialised fabric mills all over the world in addition to top of the line 3M reflective tape. The price combined with high-quality materials, excellent workmanship and safety compliance certification makes the value of Portwest Prime Mover workwear second to none. To top that off, Portwest Prime Mover carries an enormous variety of work wear clothing and their customer service is amazing. We will be happy to order what you need and deliver it with efficiency. If you haven't given Portwest Prime Mover work wear a try, you don't know what you are missing. Their work wear is made of high quality materials with meticulous workmanship, safety tested and approved and offered at great prices with incredible customer service. They've earned our approval – try it today!